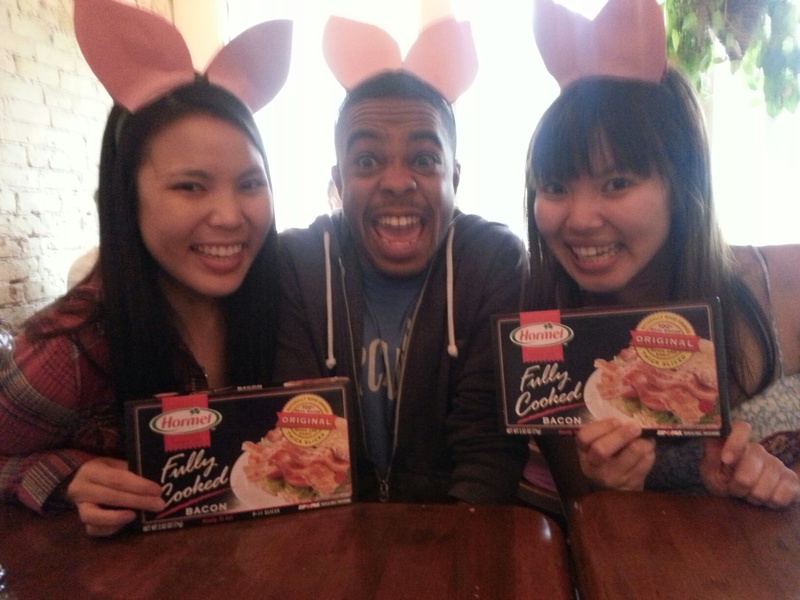 Last weekend, I went to my 4th and the 4th Annual Austin Bacon Takedown sponsored by Hormel® Black Label® bacon. I’m very proud of not missing any Bacon Takedowns in Austin’s history. 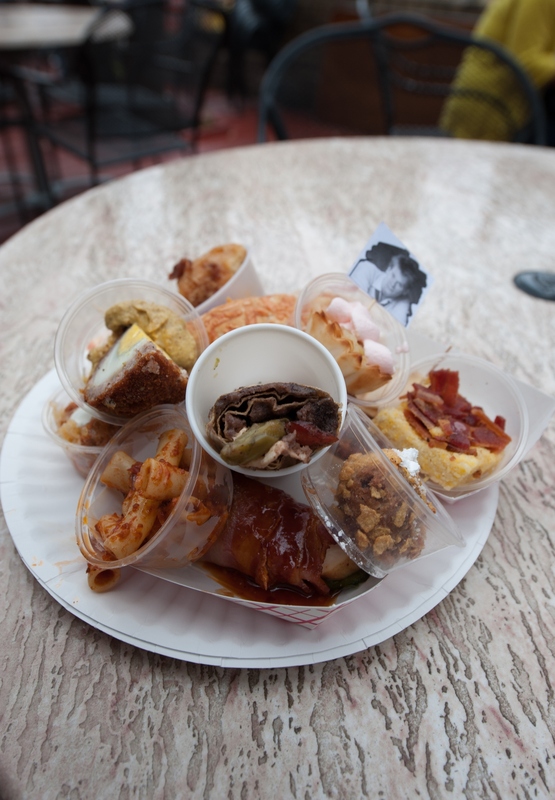 My recap to the first Bacon Takedown in 2010 can be found here. Like the previous years, everything I put in my mouth I wanted more of. The bacon gumbo entry made me want to go home and make a whole pot of bacon gumbo. The Scotch eggs went well with the spicy mustard complement; It won Judge’s choice 3rd place. The bacon and ricotta turnovers also made me salivate. I mean, who can resist puff pastry? Kudos to Dana Archip, Megan Watkins, Andy Perez III and Mario Pena for the funniest booth design. 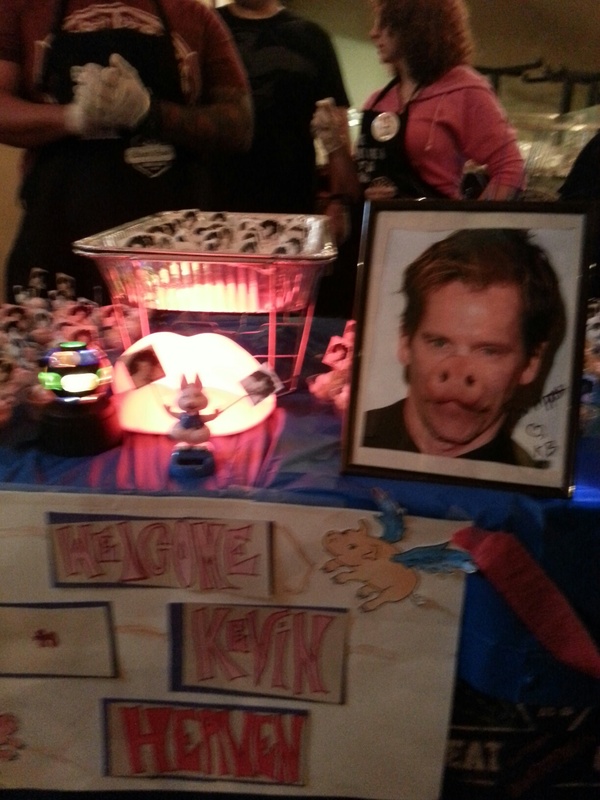 Also, their “Kevin Heaven”, a bacon apple puree caramel tart, won People’s Choice third place. 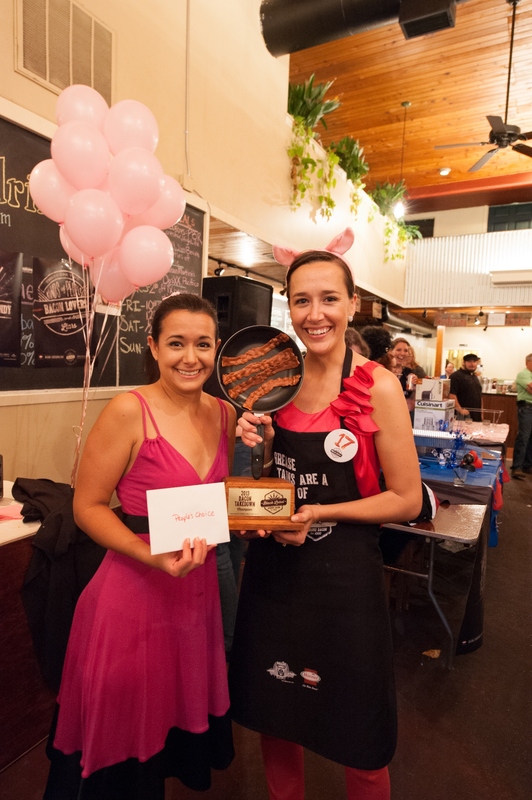 People’s Choice second place went to Megan Bratberg for her Bleu Bacodilla, a bleu cheese and bacon quesadilla, one of my personal favorites. As a sucker for sweet and savory combinations, I loved the sweetness that the apple slice lended to the quesadilla! 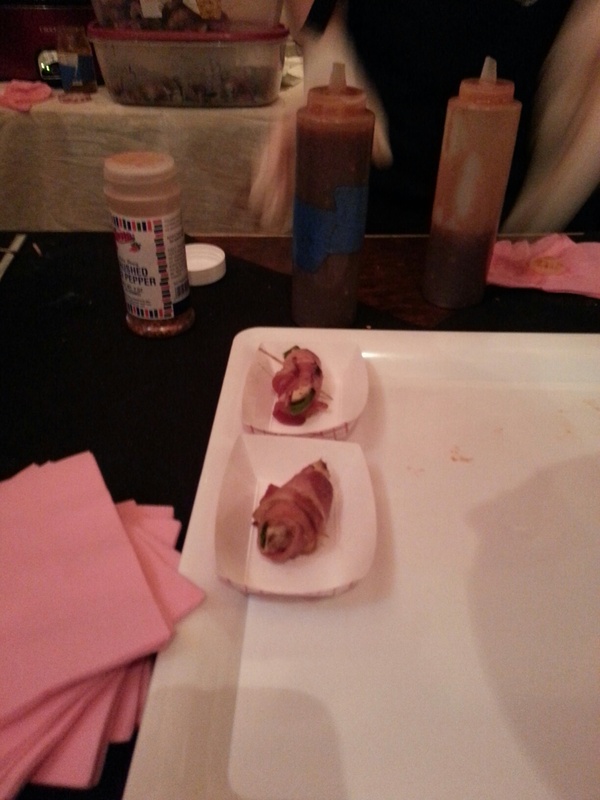 First place People’s Choice went to the Whiskey Pigs, smoked chicken and jalapeno wrapped in bacon and drowned in whiskey sauce. Pictured above are a couple of them before being drowned in whiskey sauce. 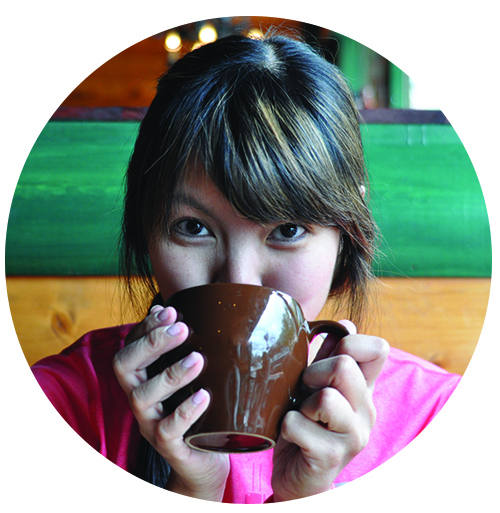 Krista White gave you a choice of her spicy whiskey sauce or her mild whiskey sauce. She had my second favorite booth design with a “make your own pig ears” craft station. One of life’s simple pleasures (besides bacon) is construction paper and Elmer’s glue. If you any of these bacon dishes sound great to you, and let’s be honest they probably all do, you can find the recipes here.